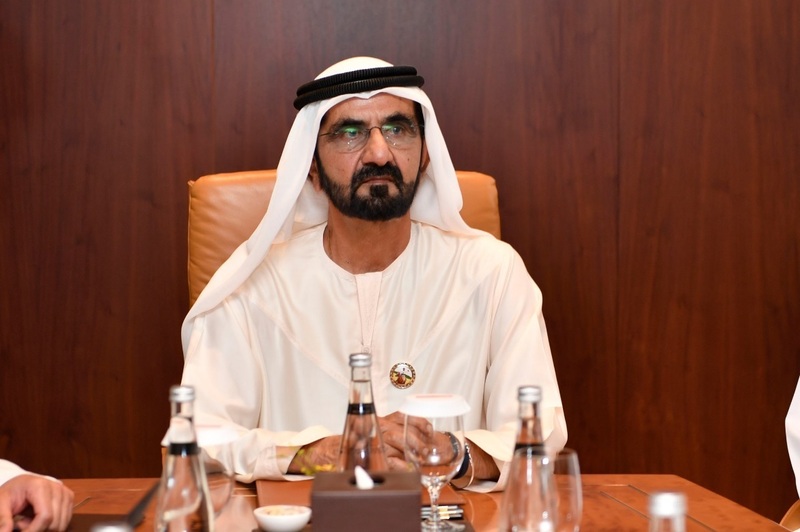 Dubai: His Highness Shaikh Mohammad Bin Rashid Al Maktoum, Vice-President and Prime Minister of the UAE and Ruler of Dubai, yesterday issued Resolution No. (4) establishing the Board of Trustees of the Mohammad Bin Rashid Global Initiatives foundation under his chairmanship. Board members include Shaikh Hamdan Bin Mohammad Bin Rashid Al Maktoum, Crown Prince of Dubai (Deputy Chairman), Shaikh Maktoum Bin Mohammad Bin Rashid Al Maktoum, Deputy Ruler of Dubai, Princess Haya Bint Al Hussain, Shaikha Manal Bint Mohammad Bin Rashid Al Maktoum, Shaikh Ahmad Bin Mohammad Bin Rashid Al Maktoum, and Shaikha Maitha Bint Mohammad Bin Rashid Al Maktoum. The Board of Trustees also includes Mohammad Bin Abdullah Al Gergawi, Secretary General of the Mohammad Bin Rashid Al Maktoum Global Initiatives; Reem Bint Ebrahim Al Hashemi, Chairperson of Dubai Cares; Humaid Mohammad Obaid Al Qatami, Chairman of Noor Dubai; Mohammad Al Murr, Chairman of the Mohammad Bin Rashid Al Maktoum Library; Abdullah Al Basti, Secretary General of the Executive Council of Dubai and Saeed Mohammad Al Tayer, Chairman of the Board of Trustees of the UAE Water Aid Foundation (Suqia). The members also include Mattar Mohammad Al Tayer, Chairman of the Board of Trustees of the Mohammad Bin Rashid Al Maktoum Creative Sports Award; Dawoud Al Hajeri, Deputy Chairman of the Board of Trustees of the UAE Food Bank; Dr Hamad Al Shaibani, Director-General of the International Institute for Tolerance; Mona Ganem Al Marri, Secretary-General of the Arab Journalism Award; Dr Raja Eisa Al Gurg, Chairperson of the Board of Directors of Al Jalila Foundation; Ebrahim Mohammad Bu Milha, Deputy Chairman of the Mohammad Bin Rashid Al Maktoum Humanitarian and Charity Establishment; Saeed Al Etr, Assistant Secretary-General of the Mohammad Bin Rashid Al Maktoum Global Initiatives foundation; and Jamal Bin Huwaireb, CEO of Mohammad Bin Rashid Al Maktoum Knowledge Foundation. The term of the Board of Trustees of the Mohammad Bin Rashid Al Maktoum Global Initiatives foundation is set at three years subject to renewal. The Resolution is effective from its issuance date and shall be published in the Official Gazette. The Mohammad Bin Rashid Al Maktoum Global Initiatives comprises four sectors that are essential for improving human life: combating poverty and disease, spreading knowledge, empowering communities, and entrepreneurship and innovation for the future. The Mohammad Bin Rashid Al Maktoum Global Initiatives seeks to achieve integration and coordination among the humanitarian, developmental and social initiatives that His Highness has sponsored and launched over the past years. Its aim is to maximise their impact, increase their ambition, and unite their goals and visions to meet the growing challenges faced by the Middle East and the world.